Flexible solutions customized for every client - big or small. We know every business has unique needs that can't be satisfied with a one-size-fit-all solution. We keep our Clients happy with personalized services and flexible solutions. From local packaging manufacturer to a global provider of integrated logistics solutions. We pursue a policy of steady, organic growth by adapting to market conditions. Our locations are certified according to proven quality management guidelines. 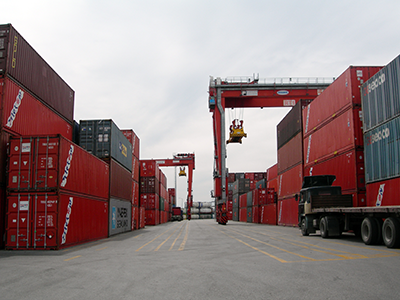 The Mugele Group specializes in customer-oriented logistic solutions. Our range of products within our 3PL Services includes parts procurement, packaging, cargo consolidation, international and domestic transportation, warehousing, JIT/JIS delivery, Kitting, pre-assembly, repacking, sourcing, and quality inspection. Whether you are shipping domestically, require airfreight or sea freight, or are looking for a logistic solution custom-tailored to your unique business needs, you can rest assured that Mugele has a flexible solution that will fit your business requirements – no matter how big or small your company is. Mugele understands that every business has unique needs that cannot be satisfied with a one-size-fits-all solution. We keep our clients happy with personalized services and flexible solutions. When it comes to logistics and procurements, our clientele agrees: Mugele delivers. All of our Mugele locations are certified according to proven quality management guidelines and offer first-class quality and process security. Locate Global Shipments at the Touch of a Button. Get Started Today.